Google has announced a new Panda update, which has been named Panda 3.9.2. Panda 3.9.2 is estimated to affect only 0.7% of all search queries. If/when a new Panda Update’s impact exceeds 1% of queries; it will officially “jump” to 4.0. This doesn’t mean that Panda 3.9.2 is insignificant. No update is make or break for your SEO Campaign, but it does make choosing the right SEO Company even more important. Google officially announced the Panda refresh is rolling out. What does this mean? A search engine algorithm “refresh” is the latest iteration of the Panda Update to introduce new tweaks. Google is not necessarily making wholesale changes to Panda, but merely introducing new features that fulfill the original intent of Panda. The most important panda factors are original and unique content, a web 2.0 website, 0 clutter and minimal ads, and a concrete website structure and navigation. If you have done these properly chances are you are sitting pretty well on top of the search engines. If you have hired or are currently utilizing a SEO Firm make sure you ask them what strategy is in place to correct these issues. To get an idea if you have been hit by Panda, use your Google Analytics and webmaster tools to identify when your site got hit and which strategy needs to be implemented. 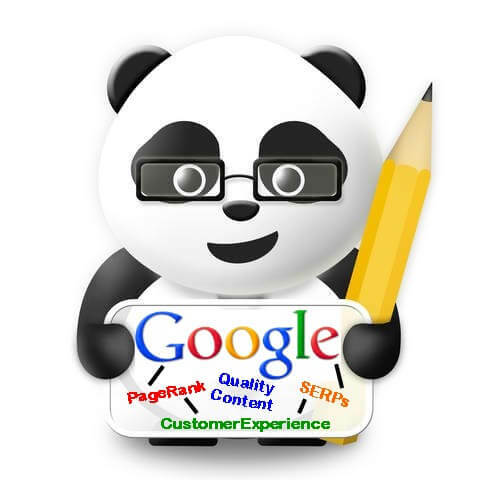 For more information regarding Panda and Penguin services visit our Google Recovery Page. In early 2011 Panda 1.0 launched, if you have been hit around that time period, most of your focus should be on creating and switching up your content on your website. Your rankings have been impacted by your lack of content, duplicate content, or no consistent flow of material throughout your website. Pre-Panda, your site could get by without much relevant content. Unfortunately Panda changed all of that. It is more important to ensure that you instill FRESH content, don’t even reblog or say the same thing twice within your own website. Continually update your website is crucial to your success. You do not want to have a static website or else Google will not continue to index your site. Even worse, they might start finding you irrelevant for keywords and would cause you to drop in your rankings. Create articles, new landing pages, press releases, or blogs to update Google with new information. A great strategic implementation for content strategy is to create silos on your website. The first step is to define your best topics and write content around them, build out your website navigation, flow chart, and sitemap around these themes. Internally linking these pages is also very important. Our own website adopted this methodology and can be used as a good example of how to properly keyword maps your website. Here is a history of all Panda Updates and refreshes in in the 19 months. At some point they will be talking about the Panda differently in the elementary school system. With all of these updates, it can basically become its own history lesson!